The Zen energy pouch stores life energy to be released and channelled into an injured hero. It costs 50% Godpower to activate and when it is used, restores the hero to full health. It has one use so a hero's god should only activate it if totally necessary. 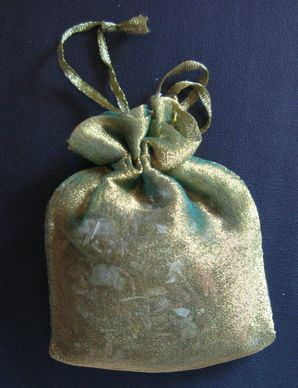 These pouches of energy are found hidden inside dark holes in Oak trees and so it is rumoured that they are misplaced possessions of forest fairies. The more educated minds of Godville know them to be in fact the residue of nomad healing sages' great works.